Vivacious and ever so versatile, carpeting is one of America’s favorite ways to floor, both in commercial and residential settings. When you have a soft surface to stand on, comfort is always the key. Rife with rich textures, patterns, and colors, carpeting has much to offer us. Carpet One Floor & Home of Billings is the region’s most trusted provider of carpeting products and related services. Our onside carpeting experts can help you create the perfect interior environment with a carpet that’s a perfect match for your space, while meeting all of your functional needs. Because at the end of the day, we all want our personal spaces to look and feel great. Carpet function is largely determined by fiber. Carpet fiber, also referred to as pile, can be made of both natural and synthetic materials. There are fibers made to combat many common scenarios, but with so many options it’s very important to understand your needs, and know what you’re looking for. Ask all of the critical questions and we’ll help you pick carpet that offers superior stain resistance, heavy wear capabilities, or even the ability to combat constant pet stains. 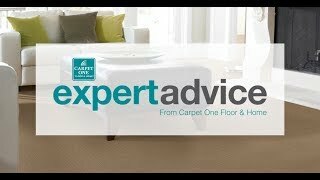 Of course, we can recommend the softest, most comfortable carpets for all those homebodies, as well. There are five types of carpet pile: level loop, patterned, textured, frieze, and plush. There are very few places where carpeting isn’t welcome, but it’s wise to choose carefully. A stain-resistant carpet variety will fare well in your entryway, hallway, stairs, or in a child’s room. Your living room- the site of many family gatherings- might require a heavy duty carpet that can manage heavy traffic, as well as the likeliness of puppy accidents. For a master bedroom, where comfort is key, a plush carpet can be a welcome setting for your tired feet. Carpeting should generally be avoided in bathrooms or laundry rooms, since they might not hold up to the excessive humidity. Carpet One Floor & Home of Billings is your one-stop source for all things carpeting. We’re proud to be members of Carpet One Floor & Home: the nation’s largest cooperative of independent flooring stores. Among our many exciting customer perks are our amazing buying power prices. We carry many of your favorite carpeting brand, as well as many Carpet One Floor & Home exclusive brands showcased within our two greater Billings, MT retail centers. Here, you can browse beautiful carpets made by LEES, Resista, Tigressa, and Fabrica, among others. Following the latest and greatest carpet trends can be exhausting: let us do it for you. Our talented designers have created these amazing looks using some of our favorite carpet products. From vacuuming to managing your furnishings with care, there’s a lot you can do to keep your carpet newer, longer. Here are some handy “do’s and don’ts” from our team of experts.